Student speaker Troy Betts told School of Nursing graduates Saturday that their differences are "what makes for some of the most beautiful moments in life." Nursing graduates were urged to be compassionate and empathetic in their careers as health care professionals at a commencement ceremony Saturday morning. The 326 graduates were welcomed into Lisner Auditorium with a bagpipe performance. Once graduates filed in, speakers reflected on their time in the School of Nursing and told graduates to work to make health care more accessible. She said eulogy virtues are traits that people will be remembered for, like kindness and compassion, and are often more beneficial for a career than what’s listed on a resume. She said the values aren’t ones that can be taught in school, but they’re integral to career success. 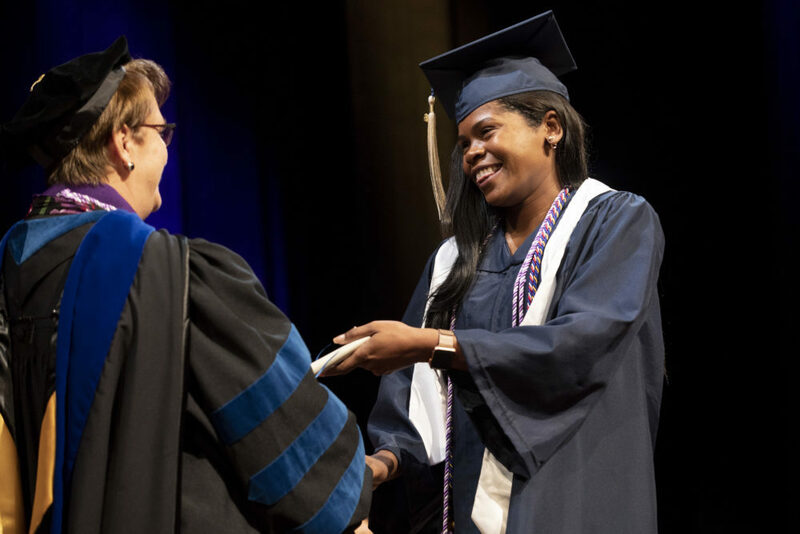 A graduate of the School of Nursing walks across the stage to receive her diploma in Lisner Auditorium Saturday. Hassmiller said nurses have the ability to build a culture of health where everyone is represented and has access to a healthy life, regardless of race, income or location. Hassmiller said after a bike accident about 18 months ago, her husband had to be put on life support. While they were at the hospital, she said the two nurses that cared for him went beyond their professional duty and made her feel like it was an “honor and privilege” to stay in the hospital room. She said one nurse even helped her move her husband so that she could lay beside him in his final hours. After telling her story, Hassmiller encouraged graduates to connect and empathize with patients and their families, like other nurses did for her. “That’s the kind of nurse you want to be, right?” she said. 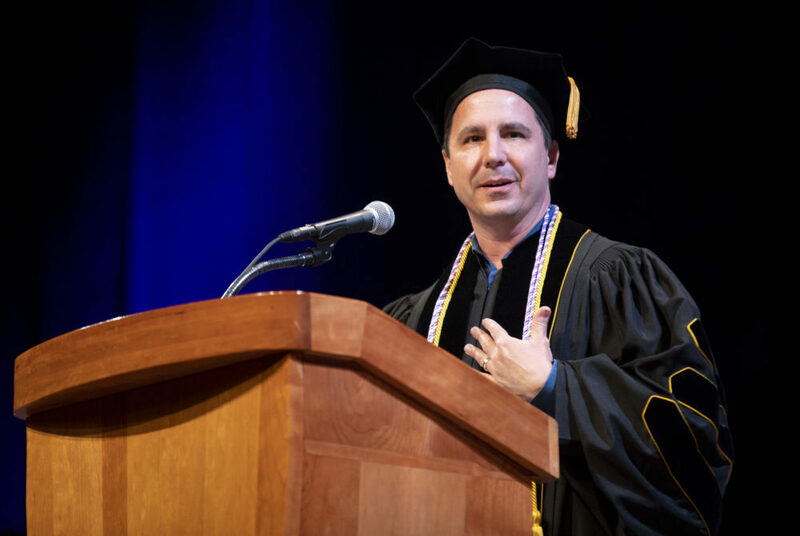 Student speaker Troy Betts, who earned his doctorate Saturday, said the students coming together to study nursing at GW create a “tapestry” – in which the students represent hundreds of intricate threads required to create a larger work of art. “I found that the convergence of our differences is often what makes for some of the most beautiful moments in life,” Betts said.